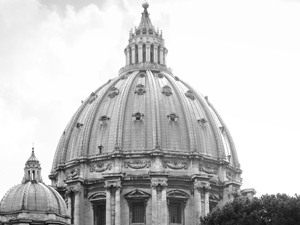 You are at:Home»Featured»Should the World Powers Embrace the Vatican’s Financial Outline? the financial reform plan seems to have many good moral points. One detail it seems to be missing is how a singular entity such as the one described could be encouraged to grow in a non totalitarian way. ( i can’t image one , but even my vast imagination has it’s limits). Further how could such an entity be prevented from using it’s power to destroy religion in favor of money and those in power. I do not believe such an entity can exists and be moral without the direct intervention of God. I think the history of the papacy itself, a entity that IS directed and guided by the hand of God , is a good indicator of WHY such an entity should not be created unless it has exactly that protection. Currently there is an existing (opaque) world financial authoruty in which policies are imposed by SPECIAL INTERESTS and agencies like the IMF and World Bank. Although visionary, the proposed authority would merely be a system that is more transparent and incorporates the interests of billions of people and nations that are powerless. We definitely need the input of the church in this matter. Economics is not a morally neutral pursuit, nor is it an exact science. Ultimately, though, all economic thought needs to be rounded out by the ethical teachings of the church to bring about justice. Money and resources are morally neutral. It’s only the wrong use of them that brings about many evils. Everything human activities tighten together and built on the foundation of morality. The Catholic Church is commissioned to engage in all aspect of human life. “leave economic analysis to the economists.” can never be true.